Aging electronics just aren’t up to today’s standards. If your CNC equipment doesn’t have the latest features, you could be missing increased efficiencies. Many times, retrofitting CNC turning machines can improve performance through greater speed, new levels of automation and system improvements. If your machine in is good mechanical condition, a new CNC control retrofit is a smart way to bring new life and capabilities to your equipment. 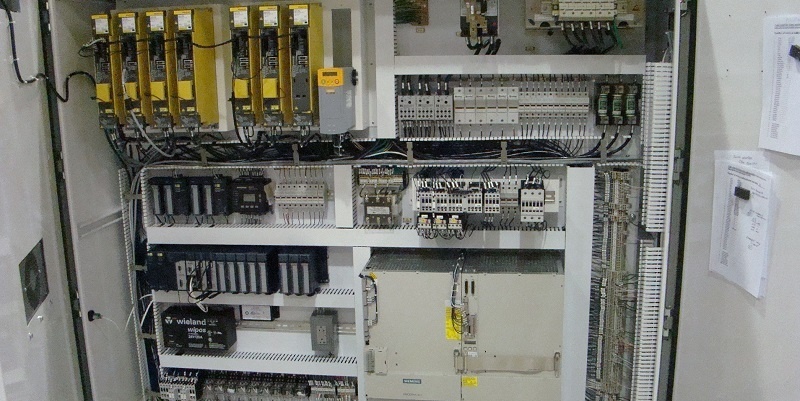 Our engineers can design a machine CNC control retrofit specifically to meet your application. As a FANUC robotics authorized integrator, Bardons & Oliver offers a complete FANUC package that includes controls, motors and drives. If your electrical system needs to be updated, our experienced technicians pre-wire new electrical panels and later, on-site, remove the old panels and mount the new ones directly into the existing electrical cabinet. Additional enhancements may include a new hydraulic package, central lube system or coolant system. Bardons & Oliver has long led the industry in innovation. Manufacturing our own line of machine tool equipment for more than a century has provided experience in every aspect of machine systems and performance. We know what improvements have been made, which features can improve efficiency and add quality to technically sound but aging equipment. Bardons & Oliver designs and builds solutions for unique applications. More than a century of experience goes into every custom engineered solution.